"I own a two speed and single speed avets. For a few years they were my reel of choice. Tough, smooth, and worked like a champ. The only drawback is that they do not handle any length of exposure to corrosive saltwater environments. I know folks who carry extra bearings because it happens so often. 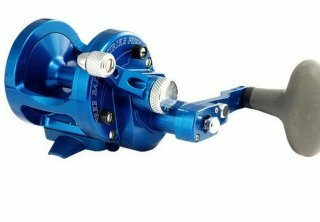 If you are take care of these reels (i.e fresh water rinse or bath IMMEDIATELY after every use) they will..."
"My Mini-x was my very first kayak. It was/is amazing. I had no clue what a good kayak was so took my Mini-X out in the open ocean, Swift Rivers, and Big Lakes. I caught some really nice fish: King Salmon, Halibut, and rockfish. Then I learned my mini-x was COMPLETELY inappropriate for the type of fishing I was doing...or so I was told. I sure seem to catch a lot of..."
"I LOVE my Hydrus 3L paddling suit. In Alaska a full drysuit is necessary when venturing out on your own. I trust my life with the Hydrus 3L Paddling suit. 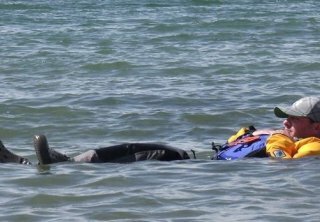 Neoprene neck gasket is much more comfortable than latex, and if you are properly wearing your pfd, there shouldn't be an issue with water going down your neck. the suit is reinforced in all for the right areas for the anglers. It's comfortable enough that on especially nasty..."
Trolling is a technique I employ for just about every fish I target - even for fish typically not associated with this technique, like halibut. My primary target for trolling is salmon. I fish the waters of Alaska, and though not everyone will be targeting salmon or halibut I believe these techniques can be modified for a wide variety of species. Super Bowl Sunday. Hmmm...love the Seahawks, but I LOVE fishing even more. I have a streak of five consecutive months where I have caught a king salmon from a kayak in the saltwater out of Homer, AK! I’ve called Alaska home since 1971, and even I can’t believe you can catch fish like this! It’s unreal! After seeing SpiderWire® advertised in 1994, I picked up a spool of Cabela’s “Ripcord” braid - a “super” line advertised as ‘stronger than steel’ - because SpiderWire® was just too ridiculously expensive. For monster Kenai River kings, this seemed like just the ticket. I moved to Kenai, AK in 1971 when I was five years old. My father was an avid fisherman, and he in turn got me addicted. Since that time, like clockwork, we would switch from open water fishing to ice fishing in November. I had heard about the winter king salmon fishery in Homer, but wrote it off to a futile attempt by crazed daredevils to shake the winter blues. 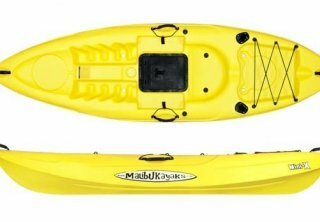 Then I got a kayak, and my life… errr, fishing schedule (same thing) changed. After reading a post about the lack of posts, I lamented to my girlfriend the situation and she says I’m just too addicted and other people do things other than fishing…especially come the winter time. Really? Huh? Seriously??? In my reports and blog I try to be accurate and mention the bad days along with the good days. One thing that even I couldn’t get myself to do was to report on some stupid errors I have made along the way. Sure missed harpoon strikes and lost fish...it happens to everyone and I report those. But stupid gear errors..or so I thought...was something I was too embarrassed about. Rewind 30 years to my Kenai River king salmon days. If you looked up and down the river, I would say 95% of the lines utilized duo lock clips. You know those bent steel wire snap clips that you always look at and wonder “Do these things really hold?” But after hundreds of kings including a 71 pound king on anchor using braid, the duo lock snaps delivered the fish. I never had problems with them until I started kayak fishing. For the past three years, I have lost at least a half dozen fish due to failed duo lock snaps. My most important fish was a 50 pound halibut that would have certainly won the inaugural NorthwestKayakAnglers.com kayak fishing tournament here in Alaska. I was fortunate enough to land a winning king later, but it could have cost me the tournament. So why could I use the duo lock snaps for 30 years without issue and all of the sudden they are costing me fish? At first I thought I was going senile and simply not locking down the snaps. I got into the habit of checking every snap every few bait checks. A few times I found them snap open. Hmmm...I AM going nuts. But it was odd. A few times I know I checked them an hour prior and they were closed. Double hmmm…. What I have come to realize is that the duo locks are fairly strong and they rarely just pop open. What is happening is that unlike on a powerboat, the duo lock snaps comes into contact with all sorts of things. The hull of the kayak, the rod holder, the fish finder, etc. I believe it is then when the slightest pressure in the wrong direction on the wire pops them open. This is especially prone to happen at netting. Unlike a powerboat where you are netting down to the fish and the snaps are typically well above the fish, on a kayak the snaps are typically very close in line to the fish. This means they can also be hit by the rim of the net much more frequently or get caught in the netting. This is when the snaps are coming undone. Last month I lost a nice king salmon and 20 dollars worth of gear when a duo lock came undone. ARGH! OK ENOUGH! On our recent trip to Kodiak, Chris Mautino of Liquid Adventures suggested I try the Power Clips from tactical anglers. My only complaint might be they are too small for their strength rating!! I suppose I shouldn’t complain about that. I bought the 50lbs, 75lbs, and 125lbs test snaps. I should have bought the one size larger. The duo locks won’t completely be banished from my tackle boxes. Some of the larger flashers need them to properly connect though there are other options. But if I do use them, I am going to bend the ends over or secure them some other way. But for the quick lure and equipment change overs, I am going to swear away from the duo lock snaps. I will report on the usage but given Chris Mautino’s glowing endorsement the reviews I have found online, it’s going to work amazingly well!